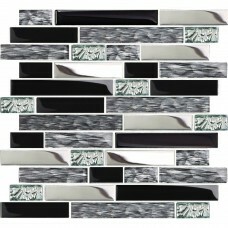 The tile is our new design Marine Animal tile. We add some simple line-drawings of the sea animals, such as the seahorse, crab, whale. 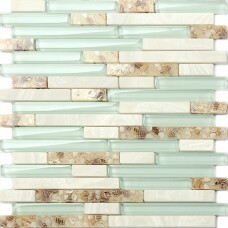 This sea theme tile is very beautiful for kitchen backsplash, bath and shower walls. Each of the tile is in 12''x12''. We have two options for customers. One option is 11 sheets per box( covering 11 sq.feet). The other is 5 sheets per box ( covering 5 sq. feet). We have our warehouses both in California and Kentucky. We use UPS ground service to ship tiles which takes 2-6 business days for delivery. · Sheet Size: 12'' x 12'' (300x300 mm); Chips size: 1''x 1'', 2''x 2'' (23x23, 48x48 mm); Thickness: 8 mm. · Mesh-mounted, easy for cutting. · High-temperature glasses ensure color will never fade away, adding metal chips. · Professional packaging, free replacement for damages caused by shipping. 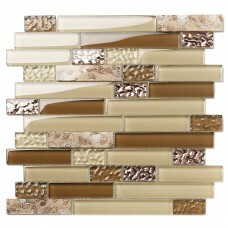 · Tiles will be shipped out in 1-2 business days, and it usually takes 2-6 business days for UPS ground delivery. · We accept no reason return if customer covers shipping cost. · We only accept full box return if it is unused with original package. · Refund will be issued within 1-2 business days after we receive return item. · Risk free shopping. Life time limited warranty if it is used in correct ways. 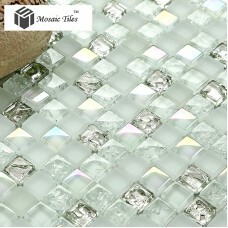 This crystal glass tile is made of crystal clear glass and the pattern of the chips are squared. Th.. Specifications · 300 x 300 mm ( 12'' x 12'' ); Chips size: 23x48 mm; ..
We make the tile special ! 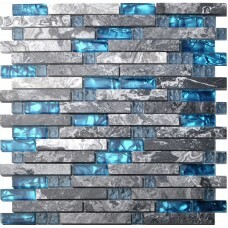 TST Mosaic Tiles is doing business in tiles for years. The tile market has been offering a lot of simply white, gray, black tiles for years. We would like to make some changes to create some new things like adding some conch in the tile, having some inner crackle design, making some diamond chips. We just want to offer customers special and unique tiles. Our site is accepting PayPal which is safe for online payment. Customer can easily use a credit card by selecting PayPal during checkout. ( No need to have a PayPal account) Excellent customer service will respond all questions within 24 hours. Please feel free contact us by clicking the link at the bottom of the page. Professional package makes the tiles safe at delivery. Free replacement for damage caused by shipping. First class quality products. Life time limited warranty. We always try our best to serve you better !